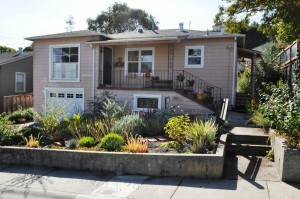 Martinez CA short sale specialists have closed another Martinez CA short sale, this time located at 1960 Lasalle St. This property is a 2 bedroom, 1 bath, about 1100 square feet and includes a wonderful and large backyard. This Martinez CA short sale home is completely updated with new kitchen, hardwood floors, and a garage/storage area with plenty of room for personal item storage and washer/dryer. The seller of this Martinez CA short sale, unfortunately, was upside down on their loan when they had to sell their home. There were actually two loans on this property. The first one was with Chase. The second one was with Charles Schwab. It was actually a line of credit that there was owed about $33,000 on it. Most of the time those second lenders like to have a lot of their money returned to them, and they want at least a 50% payoff balance. We were able to get them to negotiate down and accept $3,000 from the first lien holder. So, all in all, it worked out great. We were able to get the first and the second to approve the short sale. Not only that, we were actually able to get the seller $3,000 at close of escrow. In a lot of Martinez CA short sale transactions the lender will allow the seller to receive what they call seller relocation assistance. So if you’d like to learn more about how you can sell your home as a short sale, whether it’s inMartinez, Concord, Pittsburg, Pleasant Hill, Walnut Creek, San Ramon, anywhere in the East Bay, including Contra Costa or Alameda County, we can certainly help you do that. So feel free to contact us for more information on how we can get your home sold and in most cases even get you some money at closing from your lender in a form of a seller relocation assistance program. So hope you guys are having a great day. Let us know if we can answer any questions. Take care. To learn more about our services and homes on the market for sale please visit our YouTube channel!